Football games have always been a popular staple for online players. And there has been quite a few online sites that have been able to match with the popularity and technical accessibility of FIFA. But Football Planet, published by Magic Universe, is one of the new additions to the list that has evidently created a buzz since its launch. With over thousands likes on facebook and even more talking about it on the social networking site, it is surely one of recent the favorite online football games. The game is so designed that it will give real football stadium like experience with cheering crowds, the stadium filled with enthusiastic crowds, flashing lights, ball passing, shootouts and so on adds to the authentic experience of the game. PlanetFootball can be downloaded from Google Play. 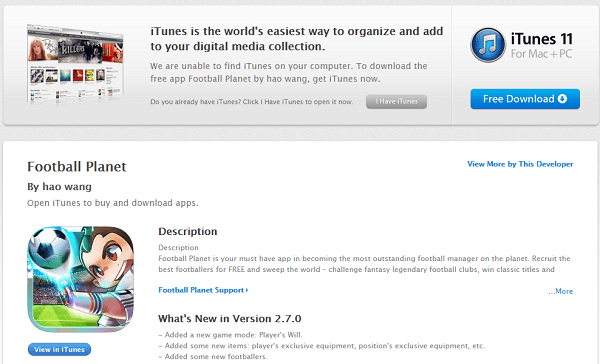 However, presently Football Planet is available only for iOS devices. More specifically in order to get the upgraded version of the game, one needs to have iOS 6.0 or later. The game can be played on iPhone, iPad, and iPad touch. Anyone can opt to play the game as it is easy to learn, easy to play and easy to operate. The players can challenge top team at any point of the game and after the players have crossed the basic levels they can take part in a number of tournaments thereafter. The players can form their own team from over thousand players to choose from. The player needs to train his team members in its unique player cultivating system. Having star and legendary player cards in the team can make one’s team absolutely unbeatable. Various tactics can be used by combining players of different qualities and attributes to get the best of the game. Using the Challenge mode the player can compete with national teams and legends and win classic titles for their own team. The entire game is an oriented management game, so one needs to make sure that the players are upgraded. The Physical Collision Engine mechanism and Artificial Intelligence System of the game have added to its resilience and compliance on the part of the players. This system can easily assess the strengths and techniques of the players. It has added some new features like player’s exclusive equipment, position’s exclusive equipment and so on. It has added some new footballers thereby elongating the list of already available thousands of footballers. The new feature has fixes the bugs that previously hindered the gaming experience. How to Play Football Planet? Firstly the players need to recruit footballers from among hundreds of renowned footballers. Then the player has to guide his team members according to his ability and attributes. There are namely six kinds of quality : D, C, B, A, S and SS. There are four types of reputation like Star, Superstar, Master, Legend. And quite understandably higher the abilities, higher their qualities and attributes. The four types of equipment available add extra specialties to the players in the team. The four kinds of Equipment are Glove, Jersey, Sneaker, and Leg Shield. Players can possess the equipment by means of challenging national teams. The proposition of acquiring better equipment depends on how well the players have performed in a game. After the footballers hailing from the ranks B, A, S, SS have reached a certain position, a breakthrough is needed for their further progress. A card has to be swallowed for attaining this breakthrough. Furthermore, only footballers of rank B, A, S, SS can be strengthened; following which added attributes would be acquired by the team members, and only cards with same quality can be used for strengthening. The rate of success can be strengthened by using multiple cards. Certain players of a particular rank (Rank S) can be resurrected with three same cards after which their attributes and qualities will achieve an added impetus and can be promoted to a higher rank if SS. The game ensures a realistic background that will undoubtedly add to the experience by imparting realistic essence. The game is freshly designed that will ensure a hustle free gaming experience. The graphic quality of the game with its easy to use options and menus can be easily used by the players. The game provides a wide range of option to be chosen from like green Journey, Top Duel, Elite Feast and so on. The guide provided on the official site of Planet Football provides detailed information about the various aspects of the game which the players can have a look at before starting with the game. 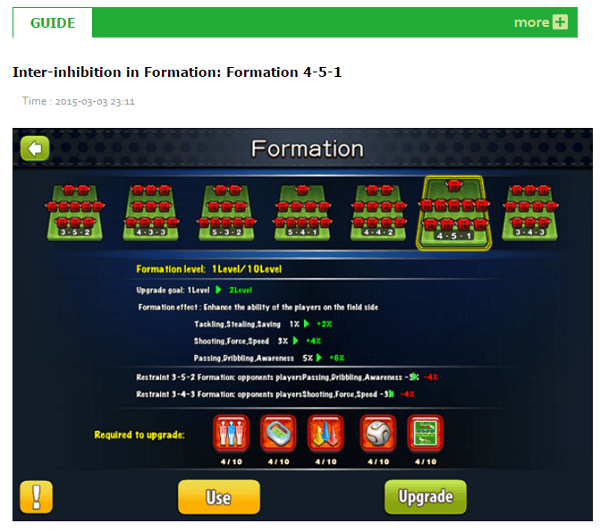 New and interesting features are continuously added to the game that the players can know about from the events and new section from planetfootball.com. The reviews and comments of consumers and players of the game have shown immense support for the game with an average of 80% of players applauding it for its features. And for further assistance to any of the queries that the players may have the customer support team is quick to reply to their problems especially through comments on Google play store. planetfootball.com has the mail id where the players can show their support to the fantasy football game. Planet Football is extensively based and developed on the concept of World Cup. Football Planet is an absolute dream come true fantasy game where the football stars and legends from all over the world come together to compete against and play with each other. 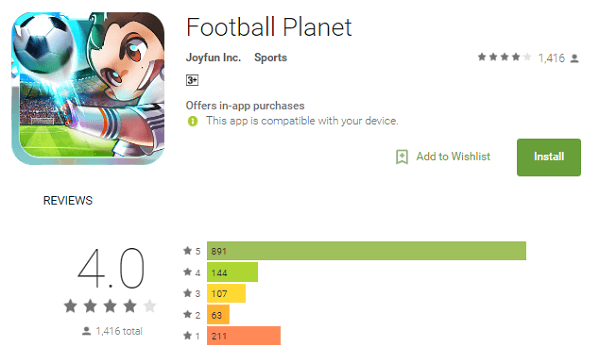 And therefore with all the above-mentioned features and interesting aspects of Football Planet, the game has already succeeded in acquiring quite a strong foothold in the gaming world with over fifty thousand downloads from Google play in recent times. The game is so designed that it is sure to hook the players for long and provoke them to come back to it time and again.